Spam is a major hindrance when running a business that relies on email, but it’s easy to protect your employee’s time from the average spam messages with the right technological support. Unfortunately, hackers have adapted to this change and made it more difficult to identify scam emails. More specifically, they have turned to customizing their spam messages to hit specific individuals within organizations. These messages, called phishing attacks, are targeted attempts to coerce information from users. They are particularly dangerous due to the fact that messages are personalized to target specific users or businesses. Unlike spam, which is typically sent en masse because of how generic the messages are, phishing attacks can yield major results due to how convincing the messages can look. DarkReading covered the results of a study which found that 91 percent of cyberattacks are started by a phishing email, highlighting the importance of phishing attacks in the hacking community. If you think about it, these numbers and reasons make sense. Employees undergo a considerable amount of stress throughout the workday due to a variety of factors. Some might worry about their work performance suffering, while others might feel pressured to click on certain attachments because someone tells them that it’s important enough. Some might just not think things through before clicking on unsolicited attachments or links, leading to the gate being opened for hackers. Therefore, it makes sense to address these concerns with your staff while training them to identify phishing attacks. 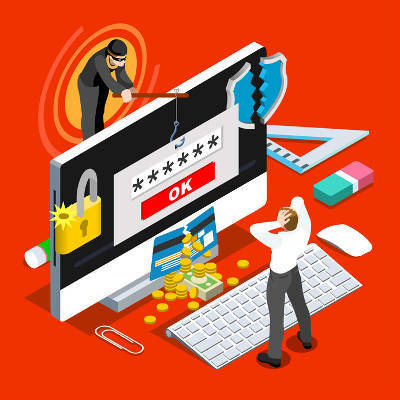 Undergo regular phishing scam training: If you train your employees to identify phishing scams, they will be less likely to fall victim to them in the future. Double-check any suspicious messages: Messages that you think are phishing attacks should be directed to your IT department. Never respond to urgent requests before following up: If you get messages from someone internally urging you to make a wire transfer or do something suspicious, follow up with them in person if possible. Reconsider best practices and workflows: If something seems out of place or suspicious, fall back on best practices to guide you to the best possible outcome. You want to protect your business from phishing scams and other threats and the technology professionals at Stradiant can help. To learn more, reach out to us at (512) 271-4508.